Signs are a really important thing in business. Some, however, are only temporary signs as opposed to permanent ones. You can often save a lot of money buying a temporary sign that will last a few years instead of a traditional sign that will go 20 years. 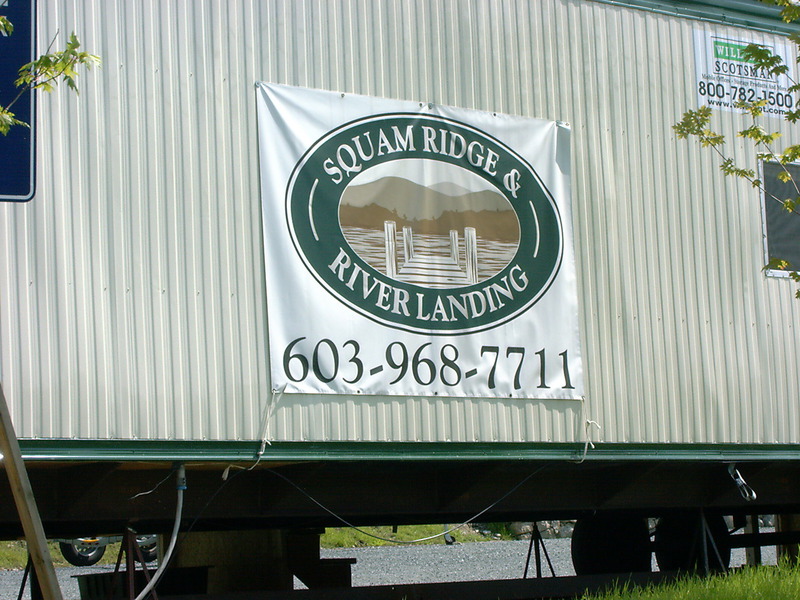 The temporary sign in the photo is a vinyl banner on a sales office for a real estate development. Hopefully, they’ll sell the place out long before 20 years go by! The banner will serve them very well, and at a fraction of the cost of a 20 year sign. The ink system we use has UV stable inks that are good for 3-5 years, and we’ve had banners used as temporary signs hanging around town for at least that long that still look pretty good! This entry was posted in Vinyl Banners and tagged outdoor banners, temporary signage, temporary signs. Bookmark the permalink.